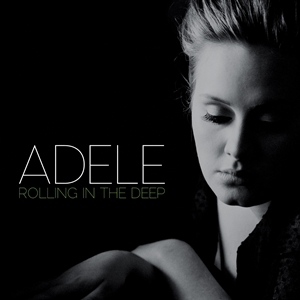 I got an email from a student recently – his band plays “Rolling in the Deep,” by Adele, in the key of C minor. What key harp to use? Also, unless you’re used to playing high harps, an F harp might be a little stiff feeling, especially when that precise bend on -3′ is required ALL the time. A low F might be nicer. Finally, even though cross harp is the most comfortable and familiar position for most players, it wouldn’t be my first choice. Personally, I’d go for 3rd or 5th positions. Same notes, but starting and ending one note lower than normal. No bends required! The opening breath pattern (Draw Draw Blow Draw) is similar to cross harp, just starting on 4 draw instead of 2 draw. And you can bend on 6 draw for a flat-5 sound. Similar to straight harp (1st position), but with the root on -3″. Since your low root is a bent note, you have to learn to land there with confidence. Work on landing directly on your bent notes, rather than sliding every time. If you step carefully, it’s a really easy, dark, bluesy pathway. However, it’s easy to make unintentional international sounds by accidentally playing 4 or 7 blow and getting a flat 2 sound. That move gives you a flamenco, Arabic, klezmer-type sound, which is probably not stylistically appropriate, even if you have a fearless, boundary-crossing musical outlook. Actually, I suppose 5th position holds a similar peril around the 5 draw. So whichever way you go, remember to practice the scale, learn your pathway, and be patient with yourself. Try not to jump out of your skin and become totally mortified when you hit weird notes. Everybody plays weird notes sometimes. Find your way back to the root and minor 3rd and hang there as needed. If I were playing C minor with a band on “Rolling in the Deep,” I’d probably use an Ab harmonica in 5th position, or a Bb harp in 3rd position. Since I overblow, both those positions give me the option of a 7-note diatonic mode or a 5-note pentatonic scale. But even if you don’t overblow yet, 5th position gives you minor pentatonic using only standard technique and 3rd position works without any bends at all! This advice assumes you’re playing fills and pure improv, not the song melody itself. The song melody uses the Aeolian minor, which is a minor with a flat 6th scale degree. It’s nice sometimes to follow the lead singer with the actual melody, so if you want that option, you gotta use 5th position in the low octave, or 4th position anywhere you like. 3rd position middle octave doesn’t have a flat-6th, unless you play an overblow on 6 blow, or transpose those phrases down an octave. Let’s say the band wants to jam in E-minor. Being a cross harp enthusiast, normally you’d grab an A harp and play 2nd position (cross harp) using the minor pentatonic scale (-2 -3′ 4 -4 -5 6). But when you reach into your bag, all you can find is a C harmonica! Is there no hope?! Must you sit down and give up all that free beer?! On a C harp, second position gives you G major. “Ok,” you say, “but how does playing in G major help me with an E-minor song?” Here’s the secret: because G major is the RELATIVE MAJOR of E minor, they’re basically the same scale. If you are comfortable playing 2nd position MAJOR pentatonic, you’re also covered for songs that use the relative MINOR. Relative major and relative minor have a special relationship, where the root note of the minor scale is a step and a half lower than the root note of the major scale. The note E is a step and a half lower than the note G. So if you’re playing the G MAJOR pentatonic scale, it’s exactly the same notes as the E MINOR pentatonic scale. This actually simplifies things for you: the same scale pattern will fit over two different song keys (G major and E minor). You have just learned to play the 5th position MINOR pentatonic scale! It should feel pretty much exactly the same as the 2nd position MAJOR pentatonic scale, it just starts and finishes a little bit lower, and on blow notes. But the notes in the middle lay out the same. Please note, blues scholars, I’m not saying Alan Wilson or James Cotton played 5th position on “On the Road Again” or “Mojo Working.” Interestingly, since much of what they play has a minor feel, you CAN pick up many of their licks in 5th position on a C harp. However, if you want to REALLY get their parts the way they played them, you’ll need an A harp, played in 2nd position. And in the case of Blind Owl’s parts, you’ll need to tune up your 6 draw a half-step. At any rate, I included these two songs because they’re both awesome blues songs for jamming, and 5th position on a C harp gives you some cool sounds in the key of E minor.